To those who are just entering college, or even those who have already been on campus, looking for a job after graduation may seem like a no-brainer. You do your best, get good grades and you are guaranteed a great job, right? While you are much more likely to find a job in your field of study with a college education rather than one from high school, finding a good position can be a challenge. According to statista.com median unemployment rate for college graduates is 4.1 percent with the lowest being .09 percent for medical technicians and people working in mass media winning the highest rating at 7.2 percent. While these figures may seem low, according to the United States Bureau of National Statistics the unemployment rate in the U.S. now stands at 3.9 percent, on par with the median rate of college graduates. As you can see, having a diploma does not always mean getting a great paying job after graduation. In fact, it takes an average of six months for someone who has completed their degree to land a job and much longer to find one that fits in with their personal goals and plans. Thankfully there are ways to make oneself more attractive to the recruiters of your dream job. One wonderful way is to utilize the Career Services right here on the Eastern campus. The careers center, located in the Human Services building, is open Monday through Friday from 8 a.m. to 4:30 p.m. What’s even better is that these services are offered free of charge. There are several career planning services offered there including career counseling, workshops, job fairs and an online service called Panther TraCS. Career services offers one to one advising by appointment to aid students in finding the perfect major for themselves and the information they need to succeed in a future job search. The workshops offered by the Career Services include resume writing, ideas on how to raise your confidence when being interviewed and mock interviews where you can apply your new skills. They also offer help in writing cover letters, and many other abilities that can help you land that job you have always wanted. The job fairs offered by Career Services are exciting events, not only do you get the chance to meet potential employers, but for them to seek you out. To do this, there are several different types of fairs. One is the usual job fair, where students have a chance to dress nice and present themselves to employers. However, there are also job fairs where employers get the chance to pour over resumes submitted for review and where students can have one to one interviews. Panther TraCS is an online service where students can plan their college careers and tailor their classes to the needs of their individual majors and the jobs you want after graduation. Career services also offers a four-year planner where you can go to see all the services offered by them at a glance. Even if you have already completed several semesters at Eastern, you can still find some excellent tips and help using this page and all the services offered by Career Services. To summarize, there are three happy messages conveyed in this piece. One, the job market for college graduates is good and has a low unemployment rate. Two, being proactive and utilizing the career services available to you now can greatly increase your chances of gaining the position in your dream job in your major. 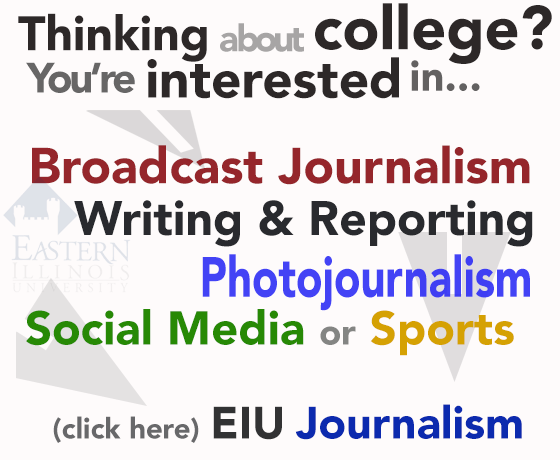 And three, there are already career helping services in place right here on the campus of Eastern Illinois University free of charge to help you find your way through the employment maze.